Car buyers finally believe $4 gas is here to stay. And automakers are scrambling to respond to demand for better fuel efficiency. High pump prices are hitting big SUVs hard and shrinking their numbers. Here's a look at a few former kings of the road. NEW YORK (CNNMoney.com) -- It appears that the prospect of $4 gas finally has Americans getting serious about fuel economy. Ford Motor (F, Fortune 500) CEO Alan Mulally said Thursday that his company has seen a "tipping point" in buyers' preferences towards smaller, more fuel efficient vehicles. And Mulally thinks this shift is here to stay as consumers come to grips with higher prices at the pump. That's why Ford also announced it is cutting production on pickups and sports utility vehicles. "Our best judgment is that a large part of the recent changes are structural as opposed to cyclical," he said. But the problems are not limited to Ford. According to sales tracker Autodata, full-size pickup sales were down 22% in April compared to a year earlier, while large SUV sales plunged 32% over the same period. "There's no doubt the structural change has quietly been underway for some time. What there has been is an acceleration," said Michael Robinet, vice president of global forecast services for CSM Worldwide, an auto industry consulting company. But while sales of the most fuel efficient vehicles, such as hybrids and sub-compacts, have soared, they still make up only a fraction of the battered SUV market. People who might have bought SUVs in the past are now more likely to buy a crossover or family sedan than a small car, according to Bob Schnorbus, chief economist with J.D. Power & Associates. Still, experts agree that buyers are taking the threat of high fuel prices much more seriously. CNW Market Research found 74% of those questioned this month believed gas prices are going to be higher in six months while 20% believe they will be roughly the same. That's a stark contrast to past gas spikes dating back to the 1980's, said Art Spinella, president of CNW. "In the past, most people thought gas prices were going to come back down, because that was what had always happened in the past," he said. 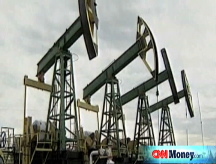 "But when you have $130 a barrel oil, they get concerned." Spinella said he's not surprised that gas prices at this level - a record $3.875 in the most recent AAA survey Friday - are finally causing buyers to change their minds about what to buy. "Even back two years ago, when prices were near $2 a gallon, $3.50 was always...a threshold where people said they would change," Spinella. Needless to say, this is bad news for Detroit's Big Three. Ford warned Thursday that its North American auto unit would not return to profitability next year because of the change in buyer preferences. In addition, light trucks have made up a majority of U.S. sales at General Motors (GM, Fortune 500) and Chrysler LLC for years. But even Japanese rivals Toyota Motor (TM) and Honda Motor (HMC), which rely more on fuel-efficient car models than on light trucks for overall sales, could be hurt by the shift. Bob Schulz, senior auto credit analyst with Standard & Poor's, said that while Toyota and Honda are well positioned to benefit from the shift to smaller cars, they've made their own big bets on larger, more expensive SUVs and pickups because there was more money to be made there than on midsize and compact sedans. Toyota recently cut production of its new full-sized pickup, the Tundra, being made at its new plant in San Antonio. And it is now trying to find more overseas buyers for its full-size SUV, the Sequoia. 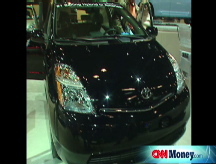 Honda has begun offering $7,000 cash back on 2008 models of its largest SUV, the Pilot. That is the most money it has ever offered buyers on a vehicle, said Michelle Krebs, senior industry editor for Edmunds.com. GM has also cut back SUV production in recent months -- although a three-month strike by supplier American Axle & Manufacturing Holdings (AXL), due to end just after Memorial Day, limited its supply of those vehicles. But the real problem for the Big Three is that they have far more trouble making money on the sale of small cars. Their Japanese rivals, on the other hand, are able to turn a profit despite the lower prices. So while a shift to smaller cars will drive up losses for Detroit automakers, it will merely put a crimp in the earnings of import brands.